Now we know that Democrats really did ride a blue wave on Nov. 6 to take control of the House of Representatives. Let’s see if they can avoid getting dragged underwater by a messy election of party leaders. 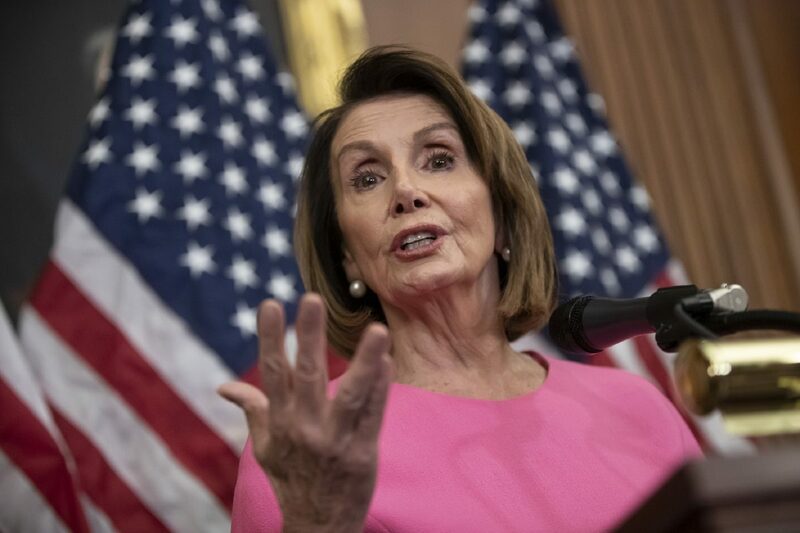 More than a score of House Democrats, including a dozen of the newly elected members, have said they wouldn’t support Nancy Pelosi of California for speaker. The problem is that there is no electable alternative who has the skill and toughness to navigate the challenges the party faces with its tenuous majority. And that’s a problem in itself; the three top Democratic House leaders are 78, 79 and 78 years old, a team that would make for a strange symbol of party vitality after a change election. African-Americans and Latinos like New Mexico’s Ben Lujan, who ran the party’s campaign committee, deserve to be represented in the leadership. With a quarter of the caucus consisting of freshmen, the sclerotic seniority system should be altered. A new speaker will be elected by the full House in January. This month the party must make its choices, and will need a united front going into the speaker’s election. Since she won’t get any Republican votes in a House where Democrats will have about a 232-203 edge, Pelosi can’t afford to lose many more than a dozen votes on her side of the aisle. Pelosi would agree to step down from the speaker’s chair after two years. In the meantime, there will be no diminution of her authority. Other top slots would be filled by younger members such as Cheri Bustos of Illinois and Joe Kennedy of Massachusetts. There should be a class-of-2018 member in one of top six or seven positions. The younger leaders would be the public face of House Democrats. Think of the representatives in two categories: indoor politicians, who are superb vote counters and legislative tacticians, and outdoor ones, the effective communicators. In more than four decades writing about the House, I’ve never seen a better indoor politician than Pelosi. But she’s not so good outdoors. (Senate Democratic leader Charles Schumer of New York, who’s about to turn 68, also is a better indoor than outdoor politician.) “Nancy has incredible strengths as a leader that no one else has,” said Chicago Mayor Rahm Emanuel, who served with her in the House for six years and as White House chief of staff worked with her to push through the Affordable Care Act. “We also need younger voices on those shows and responding to Trump.” Enact term limits for committee chairs. This was the only constructive change enacted by Republican Newt Gingrich when he became speaker in 1995.This plan would create its own problems. For example, the 78-year-old Pelosi could lose effectiveness if she were a lame-duck speaker. In her case, though, that’s a risk worth taking; she’s exceptionally tough and effective and is likely to remain a force in the party after 2020. The second- and third-ranking Democratic leaders, Maryland’s Steny Hoyer, 79, and 78-year-old James Clyburn of South Carolina, are distinguished lawmakers who can’t just be cast aside. Hoyer should be awarded a major committee chair or other significant designation. Clyburn is part of the Congressional Black Caucus, which loves the seniority system that has benefited many of its members. But he’s never going to become speaker and should make way for younger African-American leaders for whom that’s a real possibility, like Hakeem Jeffries of New York or Karen Bass of California. Clyburn could be given a select committee to lead a much-needed examination of voter suppression, a problem created by Republicans who have put roadblocks to voting in front of some important Democratic constituencies in the name of fighting nonexistent voter fraud. Fraud could even be on the select committee’s agenda. There are three ways for Democrats to resolve their critical first test, and two of them would make a mess. In a year when their House delegation has a record number of women, they could dump the first female speaker for an untested leader. That’s a terrible idea. Or they could apply heavy pressure, including from contributors, and use gimmicks to let Pelosi eke out a victory. That approach would hurt some of the impressive new members from marginal districts, like Abigail Spanberger of Virginia, Elissa Slotkin and Haley Stevens of Michigan, Joe Cunningham of South Carolina, and Max Rose of New York. Even if these newcomers keep their commitment to vote against Pelosi, they would be exposed to the Republican refrain: We told you if you voted for the Democrats it would be back to the old order. Or there’s the sensible middle ground that keeps a remarkably skilled leader in place — she’s especially good at dealing with perpetual liberal discontent — while shaking up the system and developing possible future speakers who communicate well with voters. Keeping the status-quo team of Pelosi, Hoyer and Clyburn along with some less talented senior members who are angling for other leadership positions would be a gift to Republicans.